The dismantlement of the Yongbyon Nuclear Scientific Research Center has emerged in recent months as a potential outcome from a second summit between the leaders planned for Feb. 27-28 in Vietnam. Moon Chung-in, a special adviser to South Korea’s president, told Bloomberg last week that Kim had agreed to close the plant and allow inspectors -- possibly giving the US valuable insights into Kim’s weapons programs. 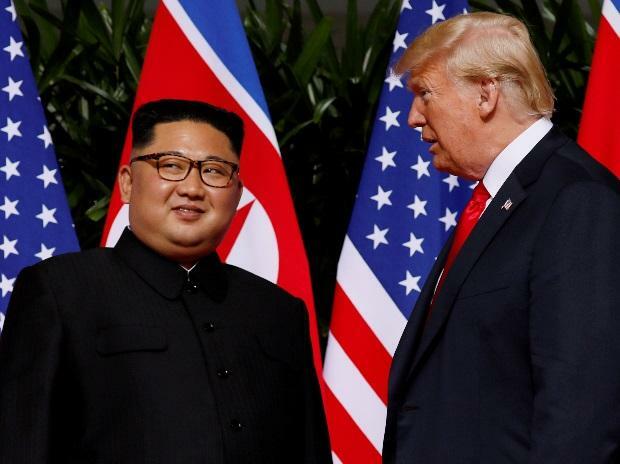 A deal to shutter Yongbyon would represent Trump’s first tangible victory toward reducing Kim’s nuclear capacity since he granted an unprecedented meeting last June -- even though North Korea has made similar promises before. The move could potentially deprive Kim of enough plutonium to make roughly one atomic bomb a year, and possibly other materials needed to make smaller, more powerful nuclear weapons. Chun Yungwoo, a former South Korean nuclear envoy who helped broker one of the deals to shut Yongbyon, said the regime has shifted its focus to building better warheads and intercontinental ballistic missiles that could hit the US North Korea probably has enough fissile material to continue most of its nuclear weapons program, even if it closed all its other fuel-production facilities, Chun said. Trump told reporters at the White House on Tuesday that he was in “no rush whatsoever” to reach a deal with Kim because he has a strong relationship with the North Korean leader and that sanctions against the country remained in place while the two sides talk. Meanwhile, the US’s special representative for North Korea, Stephen Biegun, was traveling to Hanoi to prepare for the summit, the State Department said. Kim Jong Un put Yongbyon back on the table in a meeting with South Korean President Moon Jae-in in September, when he expressed a willingness to accept the “permanent dismantlement” of the plant in exchange for “corresponding measures” by the US Moon Chung-in, the president’s adviser, said Kim also agreed during that meeting to “accept verification” of its demolition. Closing Yongbyon, as well as a lab that might produce tritium -- a radioactive isotope of hydrogen that helps in miniaturizing warheads -- would be a success, according to Siegfried Hecker, who was among a group of nuclear scientists who observed a uranium-enrichment operation at the facility during a 2010 inspection tour. South Korea and other advocates of a gradual approach to talks with North Korea argue that Yongbyon’s dismantlement would build trust and encourage more significant concessions by Kim. Biegun, the US envoy, said last month that the North Korean leader has committed to the dismantlement of enrichment facilities “beyond Yongbyon” in conversations with Pompeo and South Korean officials. In exchange for dismantling Yongbyon, Kim would probably demand relief from international sanctions -- the US’s main point of leverage in negotiations. The demolition would require delicate negotiations on where and when inspectors can roam, an area where similar talks collapsed a decade ago. The regime might divert nuclear materials to other facilities.